I can’t believe It has been almost a year since I moved to Berlin to study for my masters at the Hochschule für Musik Hanns Eisler. Firstly I would like to express my sincere gratitude to the Royal Philharmonic Society for their generous support, without which none of the incredible experiences and challenges I have had would have been possible. I am having a truly amazing time in Berlin. There are so many things I love about studying here that it’s hard to pick just a few, but overall the best thing for me is working with my teacher professor Claudio Bohórquez. 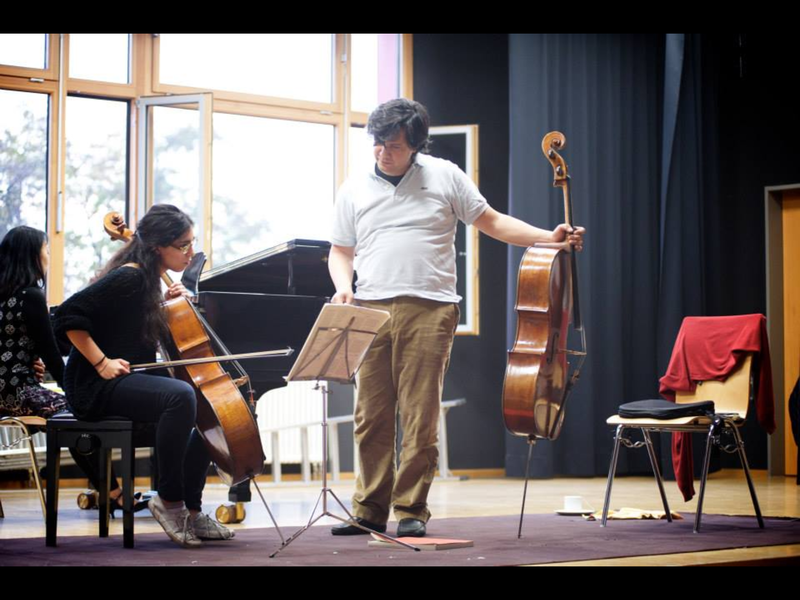 As well as being a fantastic cellist and musician I feel he is really the right teacher for me and in this short year I can see that my whole attitude and approach to music making is changing. The main thing he is teaching me is not to make myself or any fears and insecurities I have as a performer more important than the music itself – as musicians we must strive to always do our best to serve the composer and the music to the best of our abilities. To always put the music first. The standard of music making is extremely high at Hanns Eisler and I am constantly inspired listening to my friends and peers. I particularly like how every professor has a class concert at the end of each semester where the students perform – this is a brilliant way of hearing each other play and the concerts are always well attended by fellow students at the school, friends and members of the public. I have also been to some exceptional concerts here in Berlin. 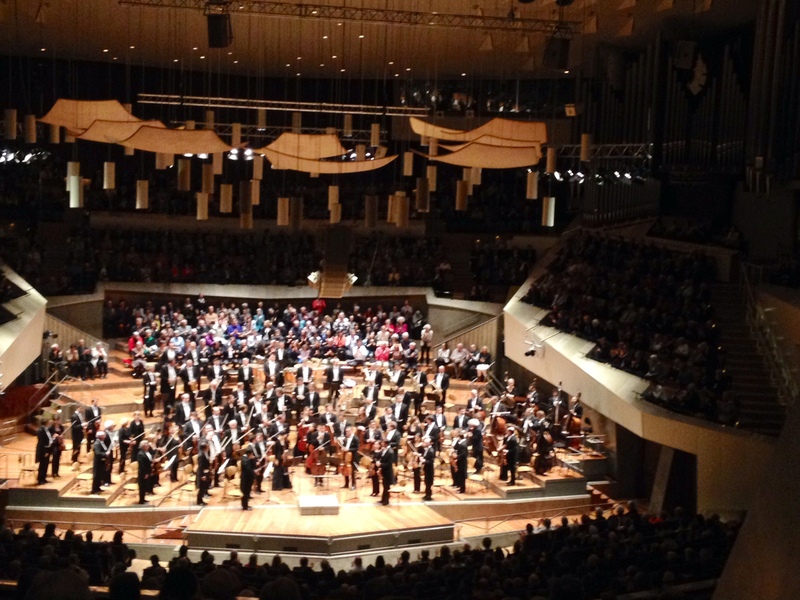 As well as having the privilege of hearing the Berlin Philharmonic on a regular basis, this city attracts the very best artists to perform. What amazes me most, however, is the enthusiasm and support of the audiences here. Concerts halls are always filled with lively and responsive audiences eager and hungry for more. It is apparent that music is deeply rooted in German history and culture. Moving to a new city has not been without its challenges, the main one for me being the language barrier. When I moved to Berlin I had almost no knowledge of the German language which was extremely daunting. Now after a few language courses I am beginning to get a grasp of the language, but it’s still very much a work in progress. (Although hopefully if you ask me again in a year’s time I’ll be able to tell you fluently in German how much I’ve improved!) Being completely immersed in a different culture and language has been a great learning curve for me, but I’m optimistic about the year ahead and the new challenges it will bring. I think it’s very important as artists to step outside of our comfort zones. For me it was my first time living outside of London and was a very necessary step for my development. What I am truly beginning to understand though is that music really is a universal language. So for anyone toying with the idea of studying abroad, all I have to say is… Do it! 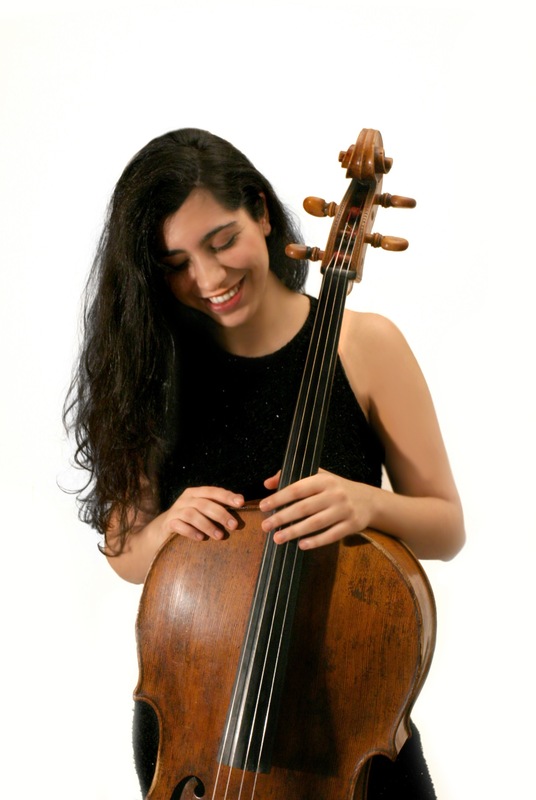 Again I would like to express my sincere gratitude to the Royal Philharmonic Society for this wonderful opportunity!